English Bulldogs, British Bulldog dogs. 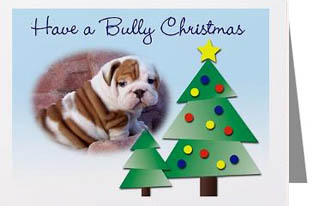 Bulldog christmas cards, Bulldog X-Mas tree Ornaments. 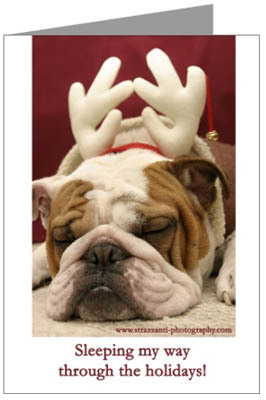 Holiday cards and Seasonal Decor featuring Bulldogs. 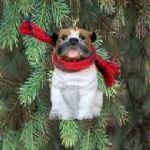 This section of DogBreed-Gifts.com features English Bulldogs in relation to the Holiday Season: Bulldog Christmas Cards, Bulldog Christmas Tree Ornaments, Bulldog Stockings, etc. 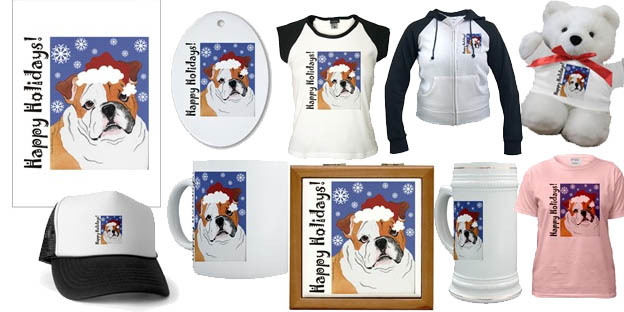 If you're searching for a Christmas gift for a Bulldog dog lover, click here to choose another product category if you prefer (i.e. Bulldog art, Bulldog figurines, Bulldog cookie jars, etc.). British Bulldogs, Bulldog dogs. 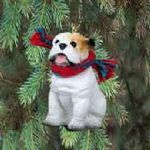 Bulldog dog christmas cards, Bulldog dog X-Mas tree Ornaments. 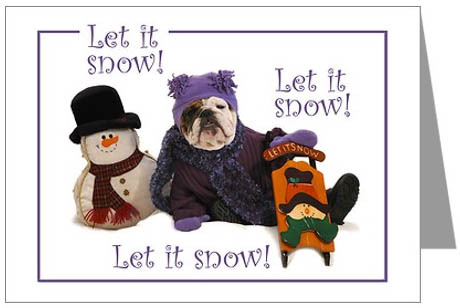 Holiday cards and Seasonal Decor featuring English Bulldogs. 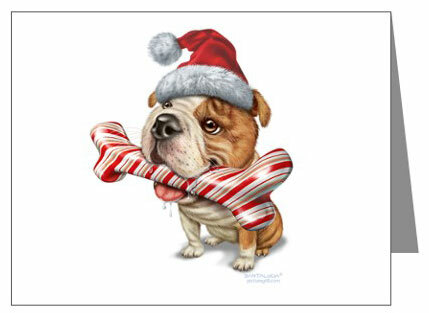 Adorable bulldog, Chubbs, is all dressed up and ready to help send out your holiday greetings on these fun cards! this picture is available on 9 different products! Cute picture of a Bulldog and a Bulldog puppy wearing a Santa hat. Available are christmas greeting cards, note cards, art prints and more. 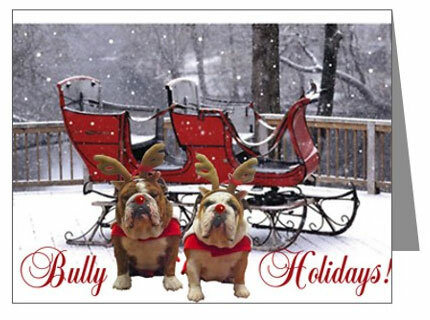 Bulldog xmas cards, seasonal greetings. 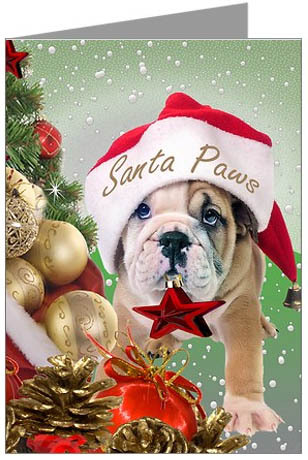 Bulldog puppy christmas cards. Bulldog wearing a Santa hat. 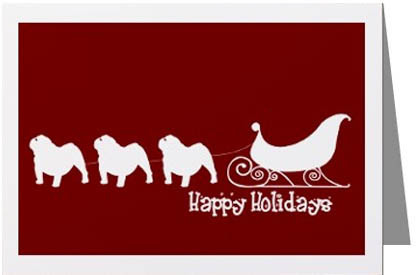 Cute picture of Bulldogs in their Holidays outfit, and a Christmas Sleigh. this picture is available on 41 different products! Cute picture of a Bulldog and a Bulldog puppy wearing a Santa hat. 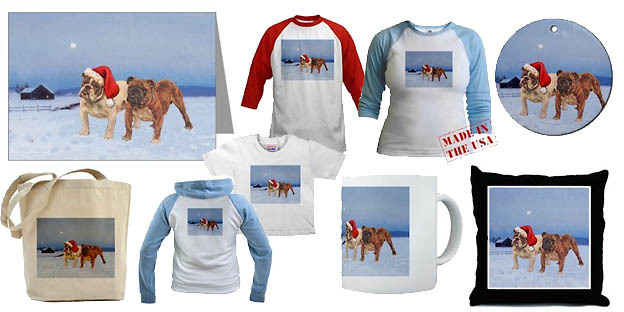 Available are christmas greeting cards, apparel, mugs, art prints and more. 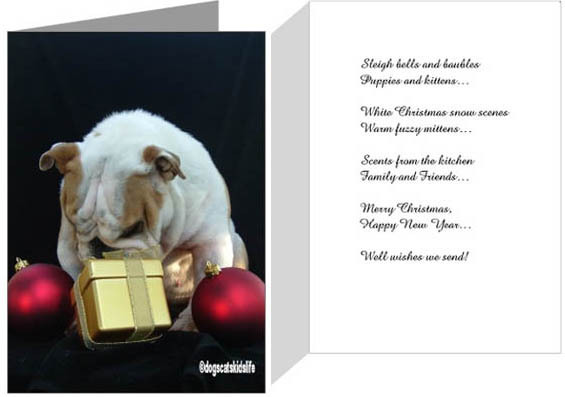 Bulldog christmas cards, holiday greetings. 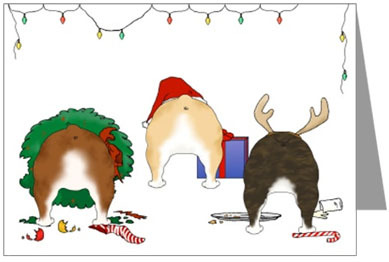 Bulldog pups christmas cards. English Bulldog wearing a Santa hat. English Bulldog puppy wearing a Santa Paws hat. 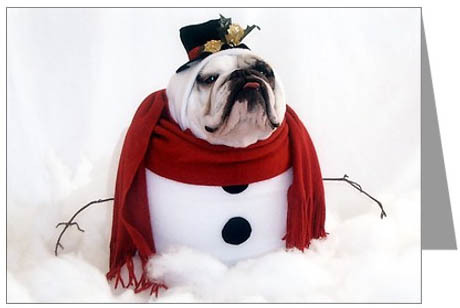 Bulldog dressed up like a snowman. Happy holidays! this picture is available on 78 different products! 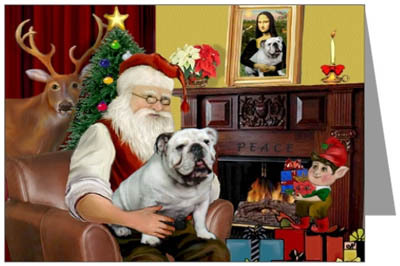 Santa at home with his white Bulldog. Available on holiday greetings, t-shirts, sweatshirts, mugs, & much more. this picture is available on 11 different products! Don't open until Christmas! A card that everyone will enjoy. Original verse inside. Available are christmas greeting cards, christmas tree ornaments and more. 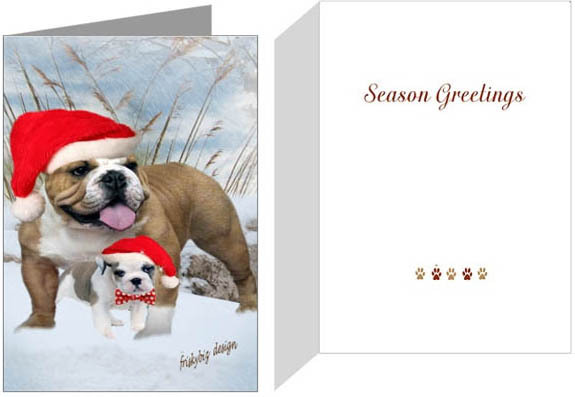 Fawn, Brindle and White Bulldog Christmas Cards. 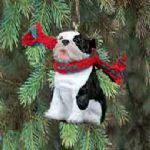 Bulldog christmas decoration, Bulldog christmas tree otnaments. 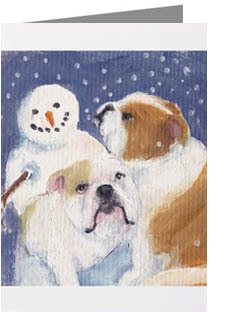 British / English Bulldog (Bull dog) dogs, dog breed Christmas Cards, X-Mas Card, Xmas, Happy Holidays 2010. X-mas ornament, ornaments (ceramic, porcelain). Stocking, stockings (needlepoint), greeting cards, card, note cards. 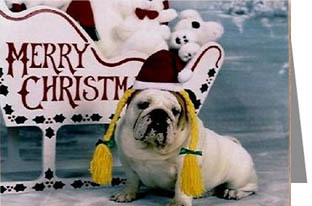 Bulldogs: Christmas Greetings, Merry Christmas, Happy Holidays, Happy New Year! 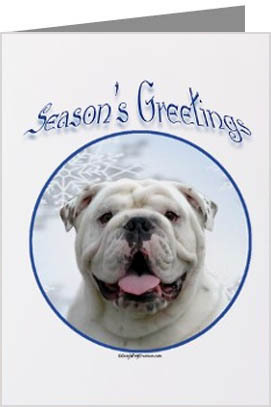 Christmas Cards : Notecards (note cards), postcards and greeting cards featuring English Bulldog dogs, Bulldogs. Greeting Cards only Greeting Cards measure 5" X 7". Note Cards only Note Cards measure 4.25" X 5.5". Postcards only Postcards measure 6" X 4". 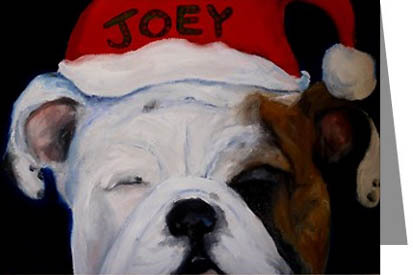 Christmas Cards : Notecards (note cards), postcards and greeting cards featuring dogs, dog breed British Bulldog. Needlepoint and wool Bulldog Christmas stockings. Lovely picture of two English Bulldogs one wearing a Santa Hat. Design by Maggie Ross. 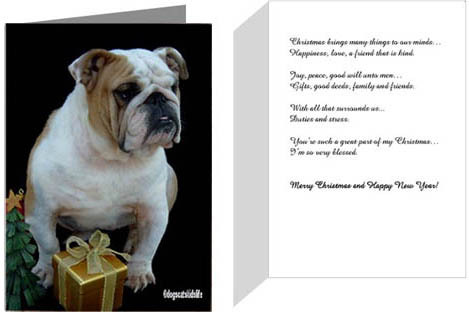 British / English Bulldog (Bull dog) dogs, dog breed Christmas Cards, X-Mas Card, Xmas, Happy Holidays 2009. X-mas ornament, ornaments (ceramic, porcelain). Stocking, stockings, greeting cards, card, notecards. 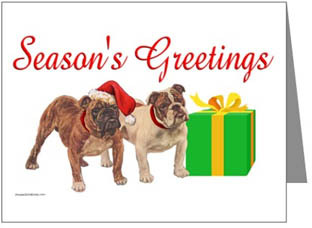 Bulldogs: Christmas Greetings, Merry Christmas, Happy Holidays, Happy New Year! Artwork by Keri Lyn Shosted. 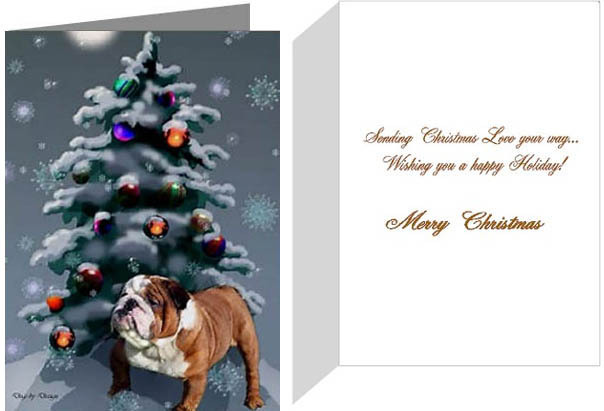 British / English Bulldog (Bull dog) dogs, dog breed Christmas Cards, X-Mas Card, Xmas, Happy Holidays. X-mas ornament, ornaments (ceramic, porcelain). Stocking, stockings, greeting cards, card, notecards. Bulldog pups. 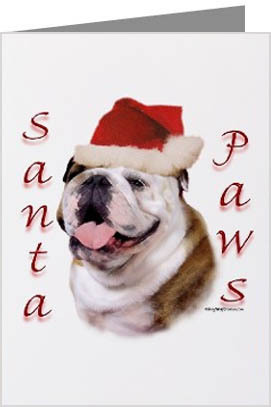 Christmas Cards : Notecards (note cards), postcards and greeting cards featuring dogs, Bulldogs. 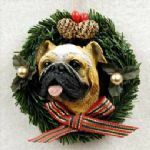 A beautiful holiday wreath encircles your pet's face with these Holiday Buddies Ornaments. Hang them on your mantle, Christmas tree, in your window, or anywhere else you need a little more Holiday Spirit! Size: Appx. 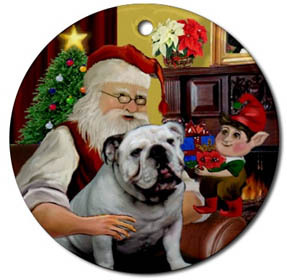 4" x 4"
or to browse the PetPro Bulldog Gifts collection. 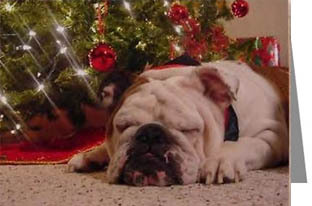 PetPro offers more than 135 Bulldog Gifts, Accessories and Collectibles! English Bulldogs or British Bulldogs, or Bull Dogs. Bulldog is also spelled as Bull Dog. White, Brindle and Fawn Bulldogs ! Now any dog can climb a christmas tree, or hang out just about anywhere. Each one comes with a hook and string, and is wearing a scarf around it's neck. Size: 2 1/2" tall. These Christmas Tree Toppers watch over you from above, as angels always do! Whether reminiscing about a lost pet or boasting how "angelic" your dog is now, these Tree Toppers will make your spirits bright for many more Holiday seasons! Size: Appx 11" tall. Over 700 Designs to choose from! 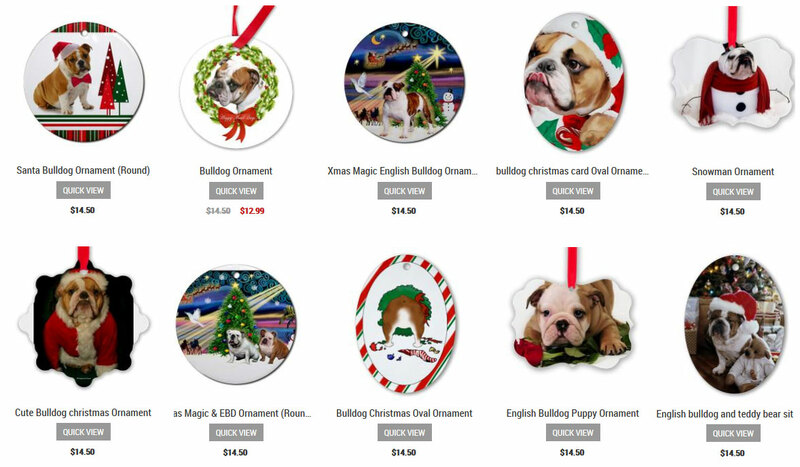 or here for the complete Amazon Bulldog Christmas Ornament collection! 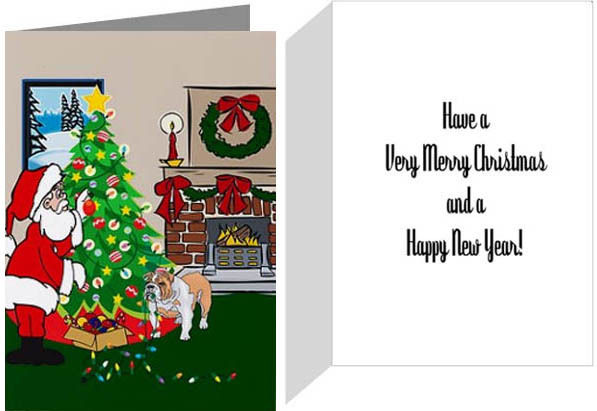 Christmas Cards : Notecards (note cards), postcards and greeting cards featuring Bulldogs. 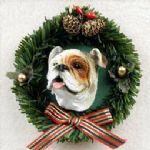 This section of Dog Breed-Gifts.com features Bulldog christmas cards, holiday ornaments and other Bulldog themed seasonal decor. 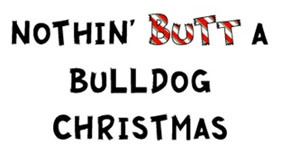 For an overview of all our Bulldog Gifts product categories, click here for our sitemap please.